oldest continuously operated restaurant and John F. Kennedy's Presidential Library are a few of the many points of interest. Everyday there is a different happening to commemorate a place and time in our country's history. It was in Boston that the patriots, rabble-rousers and troublemakers drew the line with the British Empire and started a revolution. legend. 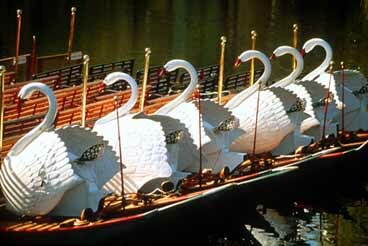 Then there was the Boston Tea Party, a party that almost everyone has heard about. 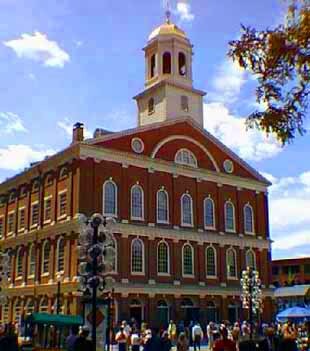 The first major battle of the American Revolution took place at Bunker Hill in Boston. The Old Town Trolley Tours of Boston feature tours with authentic costumed guides taking you to another realm of gravesites and ghosts as well as the historic sites. 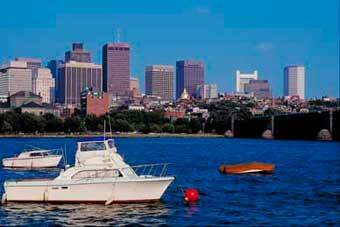 Groups, families and individuals are offered a varied choice that can be found only in Boston. For more information on these tours call (617) 269-7150.
day the park opened on April 20, 1912. If the performing arts is your preference, you may choose from the American Repertory Theatre, Boston Ballet and The Boston Pops to name only a few. When visiting Boston you must stop by Copley Square and from the John Hancock Observatory's 60th floor you can view Boston at its present magnificent state. The John Hancock Observatory itself offers a wealth of knowledge about Boston's past. From this observatory you can view a true picture of Boston... a city of contrasts. With a mix of colonial charm and urban sophistication there are world class hotels consisting of more than 14,500 available accommodations ranging from luxury high-rise suites to bed and breakfast niches among the historic landmarks. Groups and convention accommodations abound. The hotels and meeting facilities along with the restaurants and attractions place Greater Boston in a world class. There are over 200 notable restaurants in the Greater Boston area that have established reputations and world renowned cuisine. The Boston Harbor area has world renowned fresh seafood fairs. Coming to the Greater Boston area is an extraordinary experience.